The recognition, given by the San Diego Business Journal, honors CEOs who have demonstrated exemplary leadership. 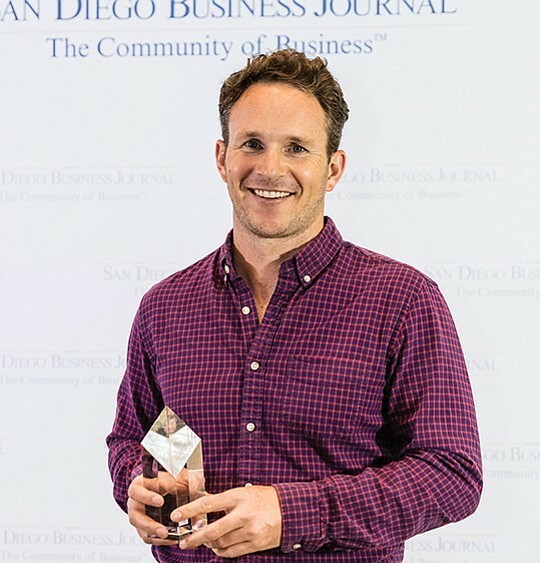 On June 7th at the Hyatt Regency La Jolla in San Diego, California the San Diego Business Journal announced that Raken's CEO Kyle Slager was named the Most Admired CEO of a small, privately held business in 2018. The San Diego Business Journal and sponsors present the award to "recognize our local industry leaders who have taken the lead in driving their businesses to great success." The award exists in a number of categories: nonprofit organization, business nonprofit, education, family-owned, government agency, privately held and public company with subgroupings within those broader categories. Past winners have gone on to do amazing things with their companies. For example, the 2016 winner of the small, privately held business most admired CEO was Zeynep Ilgaz, owner of Confirm Biosciences Inc., which makes drug test kits. Her organization now partners with Walmart and produces thousands of test kits every week. Slager's win comes on the heels of Raken successfully completing its Series A round of funding, raising over $10 million from prominent investor firms led by USVP. Since its inception in 2013, Raken has grown to serve over 3,000 clients in all 50 states and 38 countries. However, being named one of the most admired CEO's in Southern California is about more than just fiscal growth. The company, under Slager's direction, continues its commitment to an ever-growing team, as Raken was also ranked as one of San Diego's Best Places to Work in the annual employee-driven program. We couldn't be happier for Kyle, now others have recognized what we have known all along," says Sergey Sundukovskiy, CTO/CPO of Raken and its co-founder. "His leadership and vision have taken the company to new heights, and this award is the perfect cap to a month filled with exciting announcements for Raken. Click here to view the entire press release. To hear more from Slager and see the culture at Raken, check out this video.